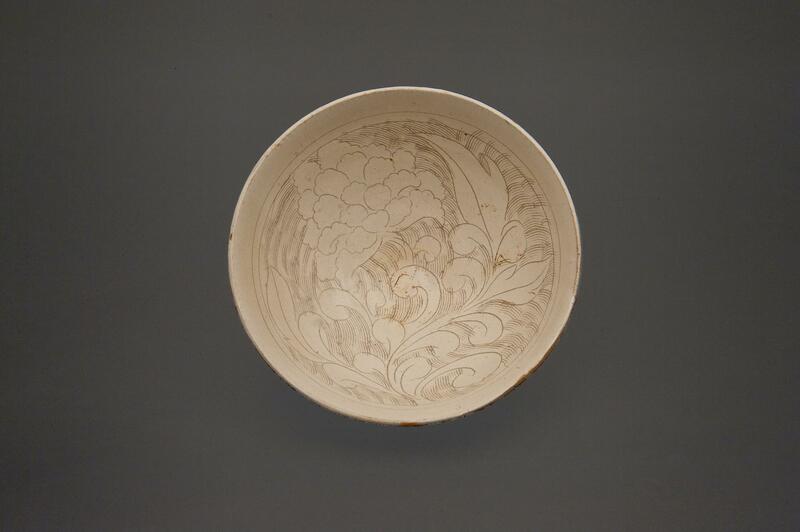 A fine Chinese stoneware bowl with carved peony design on a white slip. The exterior with a brown slip. 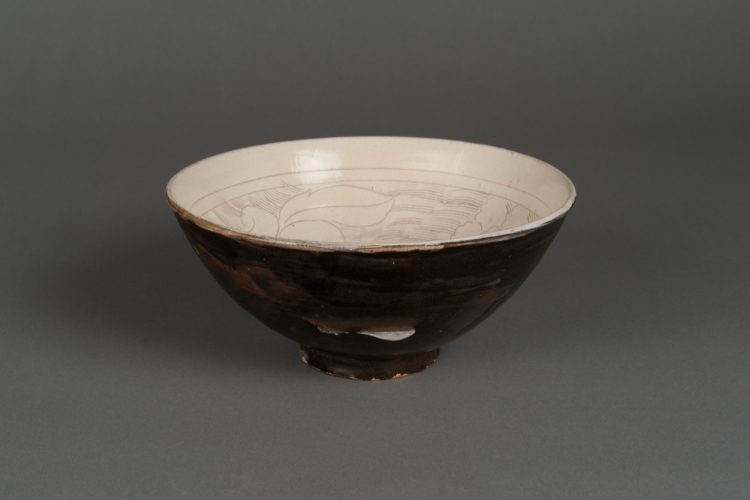 All under a transparent glaze. Cizhou type.